Professional Training: While it is reported that 80% of children with a diagnosable anxiety disorder are not getting treatment, anecdotally it seems that our offices are filled with children, teens and young adults who are struggling with challenges that range from “big worries” to full-blown panic attacks. This seminar will highlight how simple art and yoga practices can augment your current clinical approach as well as review how even minor changes to lifestyle can support decreases in symptoms of anxiety. Describe the mind-body connection for children, teens and young adults who struggle with anxiety. 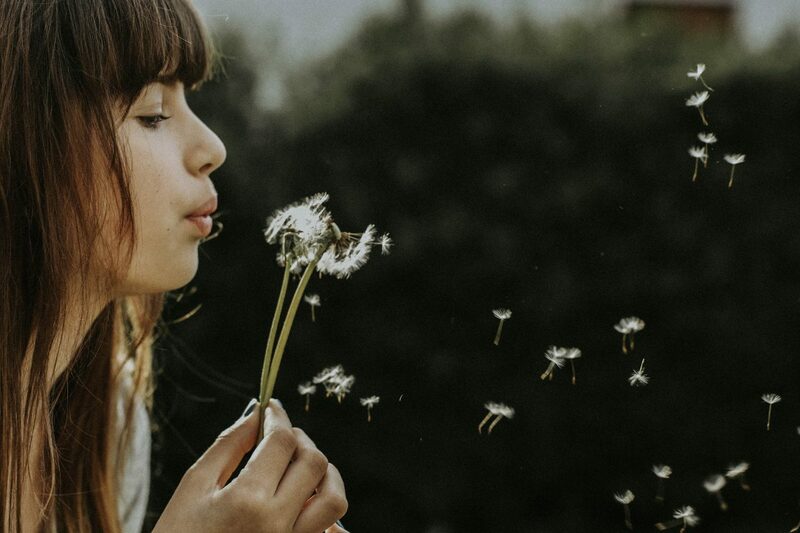 Demonstrate several different types of breathing and meditation techniques designed to support children, teens and young adults who struggle with anxiety. Identify how art-making and storytelling can address body-based anxiety symptoms. While it is reported that 80% of children with a diagnosable anxiety disorder are not getting treatment, anecdotally it seems that our offices are filled with children, teens and young adults who are struggling with challenges that range from “big worries” to full-blown panic attacks. This seminar will highlight how simple art and yoga practices can augment your current clinical approach as well as review how even minor changes to lifestyle can support decreases in symptoms of anxiety. Heather “Navneet” Lahti, LCSW obtained her MSSW from University of Texas – Austin. She has worked with children, adults and families for over 30 years and in an array of settings: the public child welfare system, private agencies, and on a Native American reservation. Navneet has extensive experience working with both children and adults who have experienced complex trauma, anxiety, depression and substance abuse. She has supervised other clinicians for over 25 years and presented at national conferences on working with children. As a certified yoga instructor since 2008, Navneet has trained others at both the national and international level on the use of art and yoga to support children and adults with anxiety and trauma. Navneet currently provides individual therapy to children and families and oversees wellness programming at Intuition Wellness Center. She utilizes an array of traditional therapeutic interventions such as CBT and TF-CBT as well as art and yoga in her work. Fees include refreshments. While you may pay at the door, you are encouraged to register by March 20, 2019, so that we may better plan seating and refreshments. Refunds are honored with written notice at least 24-hours before the date of the seminar. Contact Gina Babunovic, Practice Administrator, at 520-333-3320 to negotiate fees, if needed. This workshop is open to all psychologists and mental health professionals interested in learning more about child, adolescent, and young adult anxiety treatments. This program is intended for those with an intermediate level of knowledge and experience. This program is available for 2.0 continuing education credits. Participants must attend 100% of the seminar. Upon completion of a program evaluation form, a certificate will be issued. This serves as documentation of attendance for all participants. Intuition Wellness Center, PLLC is approved by the American Psychological Association to sponsor continuing education for psychologists. Intuition Wellness Center, PLLC maintains responsibility for the program and its content. Intuition Wellness Center, PLLC is committed to accessibility and non-discrimination in continuing education activities and will conduct all activities in conformity with the American Psychological Association’s Ethical Principles for Psychologists. If participants have special needs, reasonable efforts will be made to accommodate them. Contact Gina Babunovic, Practice Administrator, at 520-333-3320 with questions, concerns or to request special accommodations. There is no commercial support for this program nor are there any relationships between the CE Sponsor, presenting organization, presenter, program content, research, grants, or other funding that could reasonably be construed as conflicts of interest. Intuition Wellness Center is located in the office complex on the northwest corner of N. Oracle Rd. and Roller Coaster Rd. The buildings numbered 5671, 5675 and 5669 are visible from N. Oracle. We are in the north building of three in the complex on the first floor. The entry is near the elevator.